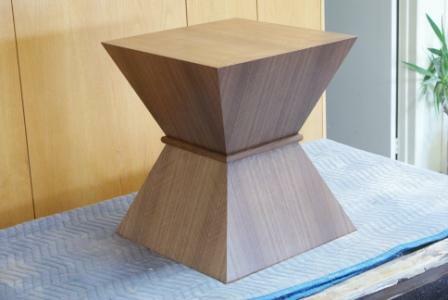 A few months ago we received a request to make a Bow Tie Pedestal Table in a custom size of 19-5/8" long x 19-5/8" deep x 20" high. 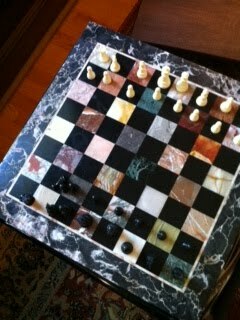 The purpose of this table was to provide an elevated playing surface for a stone chess board the client already had. The resulting table was crafted from a bundle of quarter cut figured Walnut veneer. Happy Birthday, Wiggers Custom Furniture Ltd.